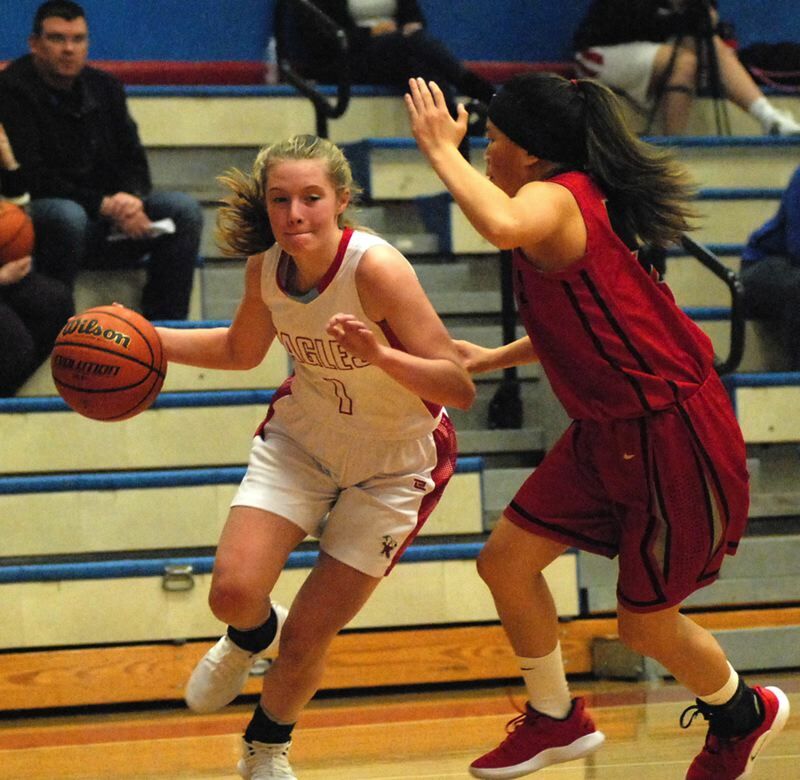 The Centennial girls basketball team pulled even to start the second half, but was unable to overtake Mountain View in a 48-29 loss to start the season Friday. Domonique Andrews swooped onto the scene, picked a loose ball out of a crowd and went the other way for a layup to even the score at 15. Mountain View responded with Mia Morey swishing a 3-pointer from the right side. The Cougars would lead the rest of the way. Centennial stayed within striking distance with center Maggie Martine getting the ball on the block, twisting toward the middle before spinning back the other way to shake her defender for a 5-foot bank shot. 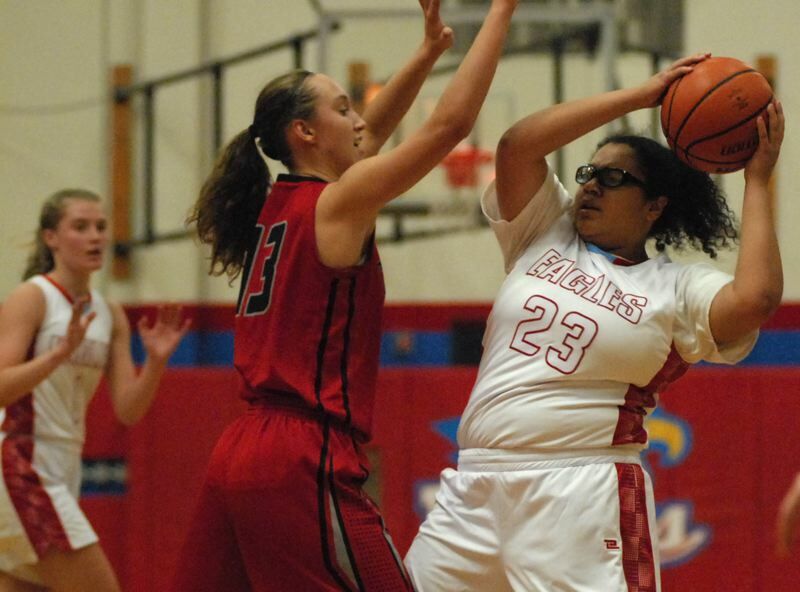 Trinity Miller would knock down a 3-pointer to keep it a one-possession game. The Eagles had a chance to tie the score when Maddy Kramer came down with an offensive rebound, tip-toed the baseline and fired a pass over the top of three Cougars to find teammate Andrews outside the arc. The possession continued with Kramer getting the ball on the block twice, but she was unable to get off a clean shot either time. Mountain View's Bailey Meier got loose on a fast break for a quick two at the other end. The Cougars put the game away early in the fourth quarter when Bailey Dickerson sneaked through a seam to grab an offensive rebound, which resulted in a mix of bodies spilled on the floor. The ball ended up in the hands of Liliana Overcash, who sank a 3 from in front of the Mountain View bench. The next trip down the floor, Morey dribbled the baseline and found Kailynn Bowles in the corner for another 3 that stretched the margin to double digits. Centennial plays at Forest Grove at 7 p.m. Tuesday. This story appears in our Tuesday, Dec. 4, print edition.